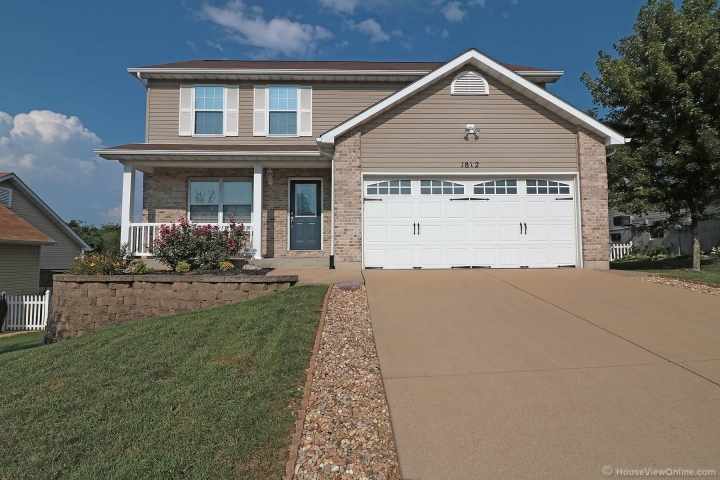 This two story home is move in ready! 3 bedrooms and 2 1/2 bath. Excellent location near everything! Hardwood flooring throughout the home and ceramic tile in kitchen, breakfast room and baths. The back yard is big and beautiful. Huge level fenced yard, level lot that backs to trees, deck ,patio, and plenty of room for kids and pets to play. Home features a duel HVAC system. Large family with plenty of windows it could be divided and partially used as dining room if needed, great for entertaining. Gorgeous kitchen with ceramic back splash, pantry, adjoining breakfast room, new stainless steel appliances and glass doors leading to freshly stained deck. Upper level includes large master suite with full bath and walk in closet. Two spacious bedroom and another full bath complete this level. Unfinished basement with rough in for bath and walk out unlimited possibilities here!